“lf I don't come back, remember that I am doing this for you and God and that I wanted to be a paratrooper more than anything else." 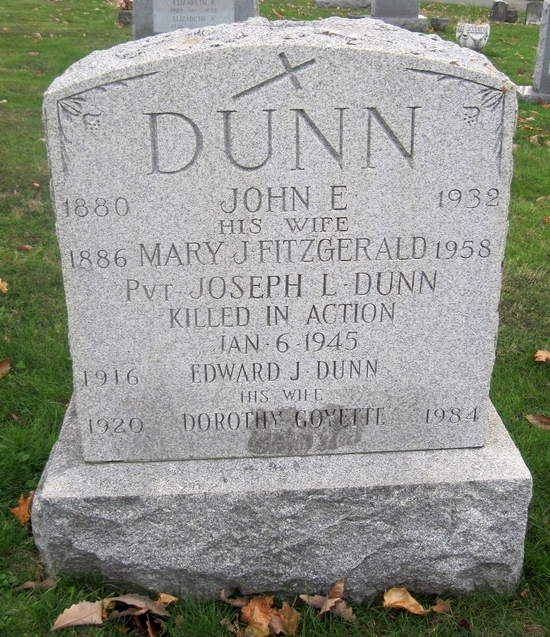 Joseph L. Dunn, the son of John and Mary Dunn, was born in Troy, New York in 1918. A first baseman at Catholic Central High School in Troy, he graduated in 1938 and continued to play baseball after school with Eagle Athletic Club in 1940 and 1941. Dunn entered military service in January 1942 and volunteered for service with the paratroopers. A tough and determined recruit, Dunn earned the nickname “Tiger Joe” in training camp with the 505th Parachute Infantry Regiment. His commanding officer once asked him, during a rigorous part of the training, "What would you do if you could get out of this?" "I'd come right back in" the young recruit replied. 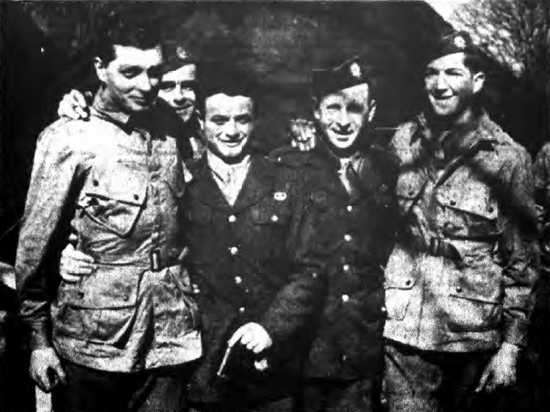 Assigned to the 82nd Airborne Division, the 505th was at Fort Bragg, North Carolina, until leaving for its first combat assignment in Sicily in July 1943. As part of Operation Husky, the objective of the 505th was to parachute behind enemy lines, close off roads leading to beaches and secure the drop zone for further use. His second combat jump was on the night of September 14, 1943, at the Salerno beachhead in Italy. The 505th then moved the British Isles and Private Joe Dunn got an opportunity to play some baseball again. On Sunday, May 28, 1944, Dunn played first base for the 505th Panthers before an enthusiastic crowd of 7,000 fans at Meadow Lane soccer ground in Nottingham, England. Their opponents, the 508th Red Devils, had been post champions at Camp Mackall, North Carolina, and the Panthers were no match for the Red Devils, losing 18-0. On June 6, 1944, Dunn was among 24,000 Allied paratroopers who ascended through the darkness into the chaos and confusion of Normandy. For its performance in the invasion the 505th was awarded the Presidential unit citation. On September 17, 1944, as part of Operation Market Garden, the 505th made its next jump at Groesbeck, Holland, the largest airborne assault in history. Having survived four combat jumps, Private Dunn was with the 505th at Ardennes, Belgium when the Germans launched a surprise offensive in December. Joe Dunn was seriously wounded in combat on January 3, 1945. He died from his wounds on January 6. A requiem high mass was held at St. Mary’s Church in Troy on March 27, 1945. It was attended by his mother, Mary (his father had died while Joe was still in high school), and three of his five brothers. All of his brothers also served in the military during World War II.